A trial balance is statement of all recorded debits and credits in each general ledger account in a double-entry accounting system. Accountants use it to help find mistakes, and to see the balances of each account before and after any adjustments, prior to preparing financial reports for a certain time period. 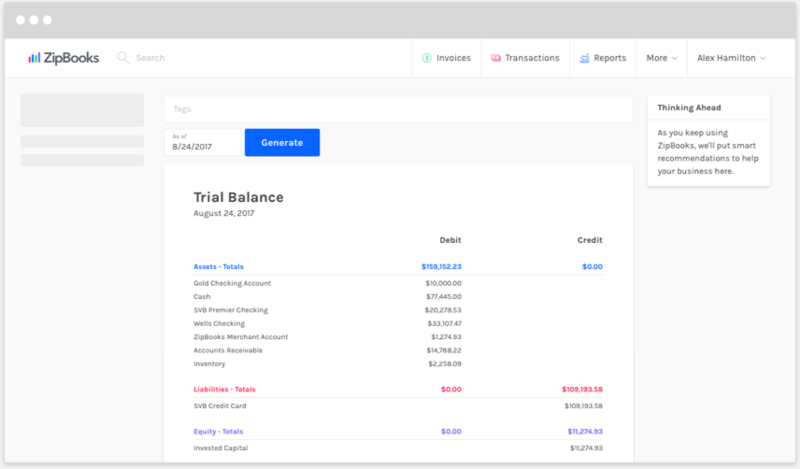 ZipBooks gives you an easy way to generate a trial balance within our convenient reports section. Check that debits and credits match and find any errors, so that you can produce accurate financial reports when you need them.